DETROIT – All good things eventually come to an end. That is the message The Broadway clothing store owner Richard “Pepper” Martin III delivered to his loyal customers who were disappointed the downtown Detroit store was closing after 43 years. Martin, who was running around his store Sunday afternoon helping anyone who asked, said The Broadway’s final transaction would be sometime around March or whenever he runs out of merchandise. Martin sold the iconic building to Detroit real estate magnate Dan Gilbert this year in August. He would not disclose the amount. He said he does not know what Gilbert plans to do with the property but believes something “promising” will take The Broadway’s place. The Broadway is located at 1247 Broadway. A self-proclaimed hippy, Martin finished school in Ft. Wayne Indiana, and moved to Detroit in 1972 for better opportunity. Wearing a wig to conceal his long, red hair, he landed a job in the tie department at Hughes-Hatcher-Suffrin, a popular men’s clothing store on Woodward and Montcalm then which shuttered in the 1980s. From there, he worked at Hot Sam’s and Van Dyke’s, two other high-end men’s clothing stores in Detroit, before opening The Broadway with business partner Donny Goldstein in 1975. Martin and Goldstein also opened City Slicker in 1978, which is directly across the street on Randolph and Monroe. Martin partnered with Marc Clarke in 1983, who is sole owner of City Slicker, and Martin became sole the owner of The Broadway in 2010. Martin also opened another store called Ciao in 1979. With close to 50 years in the garment business under his gator belt, Martin has opened two Broadway stores, and five City Slicker locations. 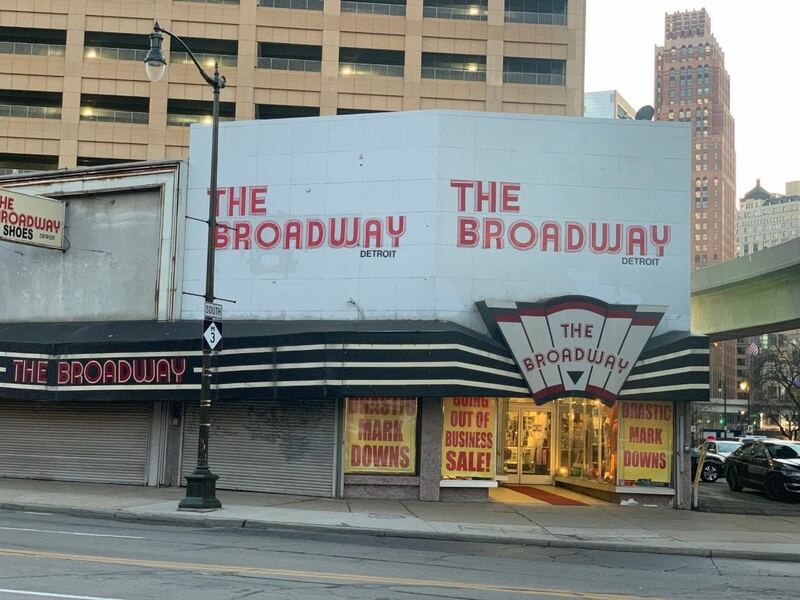 The Broadway was the first to introduce Versace, Hugo Boss, Betsey Johnson, and many other high-end brands to the Detroit area and the Midwest. It has been one of the city’s top destinations for men’s wear for over 40 years. 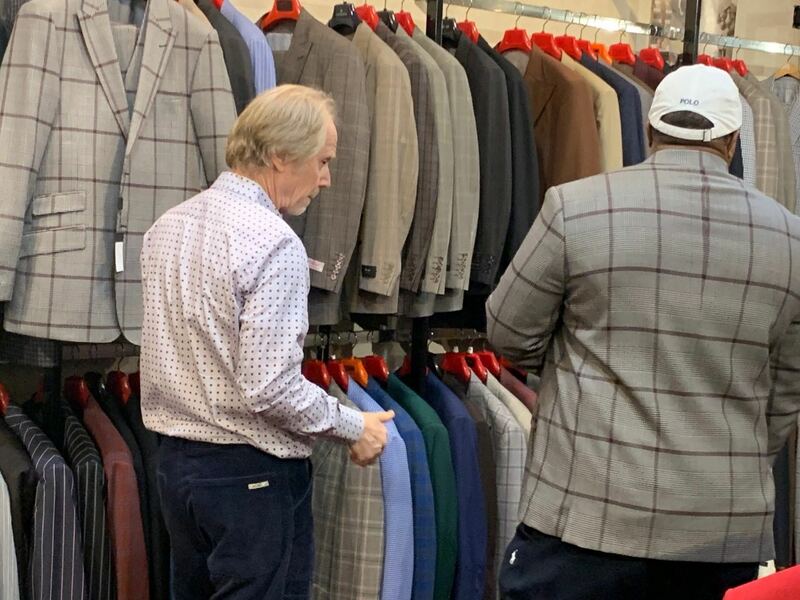 It was the place to buy gator and crocodile dress shoes in every color, mink and fur coats, the top selections of suits, and any accessory you wanted in order to be seen in Detroit. What made The Broadway unique was that its clientele included just about everyone. 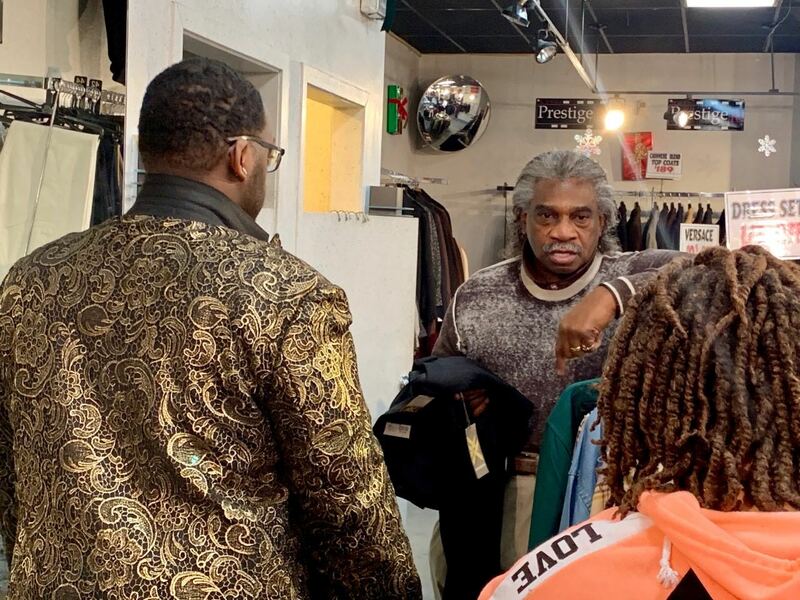 It was one of the few places where Detroit’s star professional sports players could shop with the city’s top drug dealers, pastors, and everyday working man. Some of Martin’s more famous customers included former Mayor Coleman A. Young, Detroit Pistons point guard Isiah Thomas and the rest of the Bad Boys, boxer Tommy Hearns, former Detroit Lions quarterback Charlie Batch, singer Tony Bennett, televangelist Oral Roberts, Parliament, and the Temptations, among others. But Martin’s most infamous customer was Detroit drug kingpin Demetris Holloway. Known to be a well-dressed businessman who preferred tailored suits over the sporty tracksuit of the 80s, Holloway was murdered on October 8, 1990 inside The Broadway by two hitmen. He was purchasing a pair of Ralph Lauren Polo socks and had a .32 caliber pistol and $14,000 cash on him. Martin remembered the incident but chose not to comment much on it. Pepper Martin assists a customer in finding his suit in his size. In its heyday, the area around Gratiot and Broadway was the place to go for anyone looking to get fly as possible in Detroit. With places such as The Broadway, Hot Sam’s, Serman’s, City Slicker, J.L. Stone, and Henry the Hatter all within walking distance, there was no way you could leave empty-handed. Serman’s closed in 2013, Henry the Hatter last year, J.L. Stone over the summer, and now The Broadway in 2019. Gentrification and the way men dress nowadays can be blamed for the closures. Large, yellow “Going out of business” and “ Drastic markdowns” signs line The Broadway’s front windows. Inside, customers took advantage of the 30-70 percent markdowns on suits, shoes, mink coats, belts, and any merchandise left. Many were happy to get quality goods at a lower price, but not in this way. The Broadway is open from 10-6 p.m. on the weekdays and 10-7 p.m. on the weekend. Long-time The Broadway tailor “Mr.C” fits a customer for a suit jacket and pair of pants. As for Martin, he said he is not sure what he will do after The Broadway closes. There is a possibility that The Broadway will open at another location, but he is focused on closing down the building at 1247 Broadway for now.